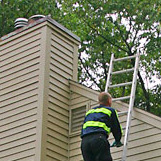 Are you in need of chimney sweep services in Bristol CT, Terryville CT, Forestville CT, Plainville CT, or Hartford County? If so, trust in Northeastern Chimney for chimney repairs, chimney liner installations, chimney cap installations, chimney rebuilding, masonry repair, chimney inspections, and chimney cleanings. Your neighbors have come to rely on Northeastern Chimney for all of their chimney maintenance needs. Your neighbors have come to rely on Northeastern Chimney for all of their chimney maintenance needs. Our professional chimney sweeps will always provide you with a written estimate at your request and will always thoroughly explain any recommended services so you can rest assured that you know exactly what your chimney & venting system requires. 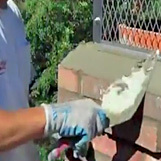 Thousands of satisfied customers have helped us maintain an outstanding reputation as the local chimney contractor of choice. Our top-notch customer service and high-quality workmanship has helped us develop a network or customers that return to us year after year to provide their annual chimney cleanings and inspections. You are bound to recognize our colorful & fun company vehicles traveling through the communities of Chippens Hill, Edgewood, Forestville, Terryville, and Plainville, and Rt 6, Rt 72, and Rt 69, as our chimney sweep techs are on their way to deliver quality chimney sweep services to local residents. Since opening in 1984, we have received great word-of-mouth recognition from happy customers who have gladly recommended us to their neighbors, friends, and family. We stand behind every project we complete which is why we’ve become the favorite chimney contractor for Bristol CT and the surrounding areas. We only employ CSIA trained and certified chimney sweep technicians that are highly skilled and completely capable of performing every chimney service we offer. NEC is fully insured and our chimney sweep crew will always arrive on time, in a company uniform, and in a brightly-marked company truck. In order to stay current with all new industry standards, products, and best practices, we remain good standing members of the Nation Chimney Sweep Guild (NCSG). Our goal is to make sure each customer is 100% satisfied with the work we complete. Be aware of common chimney sweep scams! If you receive a phone call or see an enticing ad that promises prices that are “too good to be true” on common chimney sweep services like a cleaning or inspection, think twice! These so-call “chimney sweeps” are neither trained nor certified to properly maintain your chimney & venting system. Once hired, they arrive at your home to perform a “cursory” inspection or cleaning. The safety of your home & your family are at stake when it comes to the proper operation of your fireplace, insert, stove, and chimney & venting systems, so trust in the pros at Northeastern Chimney. Oct 26, 2016 by Jim D.
Nov 10, 2017 by Chick M.